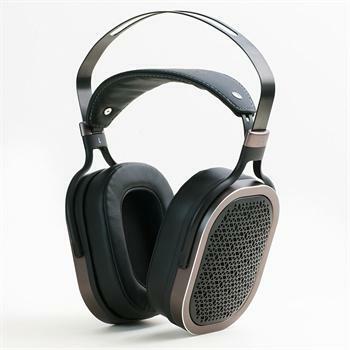 The new AR-H1, which was previewed at audio enthusiast events including High End 2017 in Munich, Germany, and Potafes in Tokyo, Japan, represents a new standard in headphone performance for the price-point by incorporating planar technology -- which is acclaimed for achieving detailed output with drastically reduced distortion compared to other technologies -- with an open-back circumaural, or over-ear design for exceptional comfort and sound quality. Featuring an industrial design that is both appealing and comfortable, the AR-H1 gives music lovers an unbeatable listening experience, thanks to the 86mm planar driver with a neodymium magnet array that is considered among the best in its class. Frequency response is measured at 10-70kHz, with sensitivity rated at 100dB/V, and impedance at 33 ohms. A true hi-resolution headphone should be as comfortable as it is sonically pleasing, which is why the AR-H1 features as a genuine leather headband and low resilience ear cushion that add up to hours of listening with no fatigue. The AR-H1 comes complete with essential accessories, including a 1.2m audio cable (3.5mm 3-pole to dual 2.5mm 2-pole), a 6.3mm plug adapter, and a soft pouch for easy storage and portability.